We write a lot about the possibilities for saving power and money with smart energy technology like smart meters and smart thermostats. But while many of us know about smartphones, smart watches, and smart TVs, how smart energy technology works might feel a little confusing. What does a smart thermostat actually do? They are remote controlled. Smart thermostats allow you to program your thermostat from your tablet or smartphone. So, for example, if you find yourself at an airport about to take off on a week-long vacation and realize you left the heat on, no need to worry. You can take care of it before you board your flight. They report on your energy use in real time. This feature is especially cool because it allows us to be a lot more conscious of the energy our households use, strategize how to cut our consumption, and learn what behaviors have the most impact. We’ve heard really great responses from parents especially about how smart thermostats have helped them teach their kids about energy usage. And, of course, they are programmable, allowing you to choose when heating and cooling should be turned up and down. Some can even learn from your behaviors and adjust temperatures accordingly. Smart thermostats are designed to be a good return on investment by helping you save on your energy bills. Even better, ComEd is now offering rebates to some customers in Illinois on smart thermostats. Find out more about the rebates here. 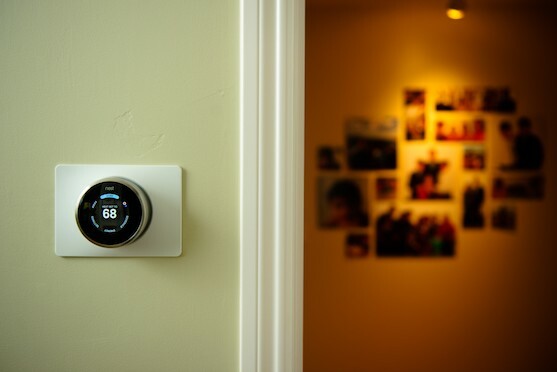 Do you use a smart thermostat already? Tell us about your experience in the comments section below.